a deep trip through lush, ambient heart zones and middle eastern syrup-tripper beats flowing to the brim with the soundscapes and psych-collage vignettes we know and love. The infamous sonic pornographer blesses us with some of his best teasers yet on this homegrown homage to the new Glue Moon fam, Ages (birthname Mike Lundy). 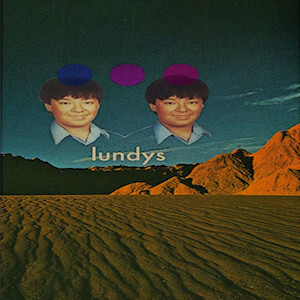 ”Lundys” is as liquid as sippin’ a smoothie, or as endearing as a drooly dog with his tongue out the window, this tape unfolds like a ride down from trimming season in a grateful dead bus. True journey music from a true journeyman. Cassette – $8.00 SOLD OUT!!! !